Do you feel the burn? Whether first, second, or third degree, burns can be quite painful. 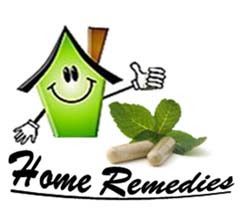 But did you know that there are numerous home remedies for burns you can utilize without taking a trip to the pharmacy. If history has taught us anything, it’s that nature provides time-tested, natural solutions for most health ailments. Hopefully, these natural treatments will take away any burn-induced pain and discomfort. First it’s important to recognize that all burns fall into 1 of 3 categories: first degree, second degree, and third degree. First and second degree burns can almost always be handled with simple home remedies and natural treatments, but third degree burns are quite serious and do deserve medical attention. First Degree Burns – Affecting the outer layer of skin (the epidermis), first degree burns may cause pain and redness, but don’t result in blistering or anything of serious concern. A burn happening within the home or sunburns are most often first-degree and can be handled with one or more of the home remedies you”ll see below. Second Degree Burns – Affecting both the epidermis and an underlying skin layer called the dermis, second-degree burns can cause blistering and are much more painful than first-degree burns. These burns shouldn’t be too concerning and can be treated with natural, home treatments. Be sure to observe for infection, though. Aloe Vera – One of the primary go-to home remedies for sunburn, aloe vera is notorious for it’s soothing, cooling properties. To use aloe vera for burns, simply squeeze the juice out of an aloe vera plant and apply it to the burn. In addition to having a natural burn treatment right in your home, many other health benefits of aloe vera can be experienced as well. Alternatively, you can buy organic aloe vera gel and your local natural grocery market. In addition to , you can experience many other health benefits of aloe vera if you keep a plant at home. Egg Whites – You may have never tried this home remedy before, but it is actually a popular one. Simply separate the yolk from a couple eggs, and soak the burn in the egg whites. This ever-so-simple natural treatment could work instantly, and could leave you feeling pain-free forever after a few hours of application. Baking Soda – Also resting among the more popular home remedies for burns, baking soda is another simple option that could dissipate the pain away. Just mix some baking soda with water to make a paste, and apply the paste to the burned area. After drying, rinse (literally) and repeat. Aluminum Foil – Although a less “natural” remedy, using aluminum foil for burns is one of the top home remedies found on Earthclinic. After being burned, run the area under cold water. Afterwards, apply aluminum foil (shiny side) onto the burn. As many report on Earthclinic, pain may intensify upon applying the foil, but after about 30 minutes to an hour, the pain should subside if not entirely, then at least significantly. Vinegar - A treatment used by countless individuals for years, vinegar has the potential to offer immediate relief. For treatment, just soak a cotton ball in white vinegar and apply to the burn. You might also do a compress soaked in vinegar and water. Working as an astringent and antiseptic, vinegar helps prevent infection by killing potential pathogens and helps burns to heal faster (potentially because of the pH factor). Honey – Also harnessing antibiotic properties that can help prevent infection, honey can be a great natural burn treatment simply when applied to the area. You may also try placing honey on a gauze bandage and keeping it on throughout the day. If you go this route, change the bandage 3-4 times. Tea Bags – Using tea bags as a natural burn treatment could certainly be the solution for you, but there are a few ways to go about this. One way is to place 2-3 tea bags under a spout of cold water, then applying the liquid. Alternatively, you may want to use 3-4 tea bags and make a mixture using 2 cups fresh mint leaves, and 4 cups boiling water, applying the liquid onto the burn with a cotton ball after letting it cool. Lastly, you can also make a stay-in-place poultice using 2-3 wet tea bags if you’re on the go. Try using black tea, as the tannic acid in in the tea can reduce pain significantly. Lavender Essential Oil – Even used in some hospitals for burns, lavender essential oil is often recommended for both pain relief and to expediate the healing process. For treatment, you can either pour lavender oil onto a gauze or clean cloth and apply it (replacing the gauze every few hours), or you can spray the area with therapeutic grade lavender oil after after exposing the burn to some cold water. Lavender has antibioitc, painkilling, and natural healing properties.